remedies, genetic nutrition, and more for over 40 years. is to provide innovative nutrition with superior ingredients that clinicians trust. healthcare practitioners familiar with their own patients and clients. Introducing the fresh new look of Professional Health Products. An extensive selection of vitamins and minerals deliver innovative nutrition for thyroid support, adrenal support, detoxing, and more. Our top sellers include Eco Thyro 37 and Eco Thyro 125, Collagen Complex, Eco Adrenal, Phase 2.5 Bile Support, and Phase 3 Complete Detox. Our mother tinctures are soaked for a minimum of 14 days to extract the essences and are prepared free of fluorescent lighting and EMFs. 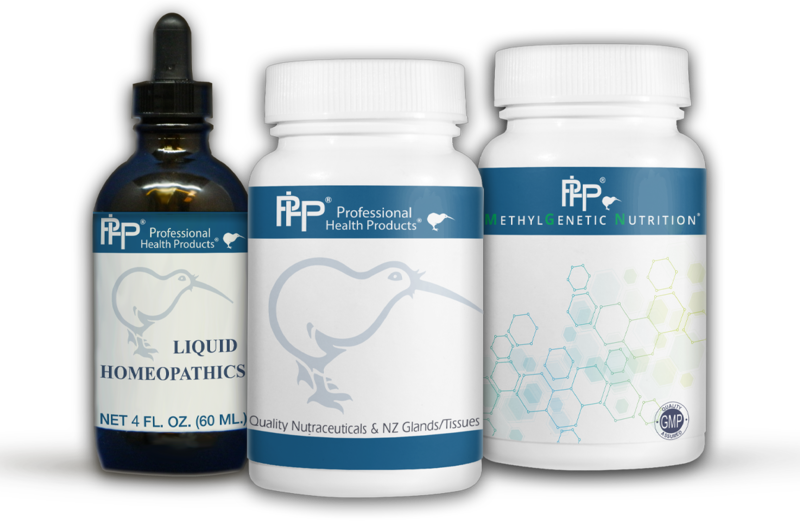 PHP’s homeopathic product lines include combination remedies, nosode remedies, sarcode remedies, allersode remedies, and more. We collaborated with the NutriGenetic Research Institute to create MethylGenetic Nutrition® (MGN), the most comprehensive line of science-based genetic nutrition in the industry. MGN offers targeted nutrition based on a patient’s genetic variations (SNPs), labs and symptoms. One of the necessary ways our body maintains good health is through proper detoxification. 3Toxins, such as heavy metals, pesticides, plastics and other harmful substances are transformed through Phase 1 and Phase 2 Detoxification in the liver. Most of these toxins are then excreted into the bile; traveling from the liver to the gallbladder, then into the intestines. The movement of conjugated toxins into the bile, coupled with the movement of bile salts and phosphatidylcholine is referred to as Phase 2.5 Detoxification. Often times the process 3 of Phase 2.5 Detoxification is not functioning properly due to inflammation, endotoxins from pathogenic intestinal flora, and hormone imbalances. Toxins will then be forced to be excreted back into the blood where they may cause further damage and increase stress on the kidneys. 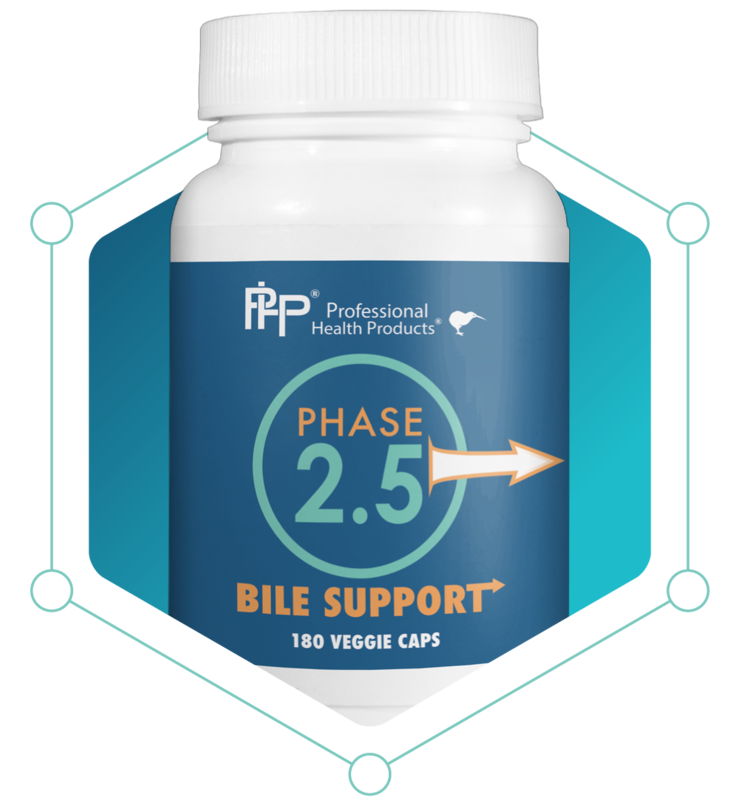 Professional Health Products® Phase 2.5 Bile Support, delivers powerful hepatoprotective & antioxidant nutrients that increase bile production and bile flow, increases and provides phosphatidylcholine (the compound responsible for maintaining bile viscosity) and provide raw materials for proper bile salt conjugation. When Phase 2.5 is optimized, toxins will be able to move more freely into the intestine by way of bile. The movement of toxins (in bile) through the intestine is referred to as Phase 3 Detoxification; the endpoint being elimination through defecation. It is imperative to bind these toxins properly with intestinal binders to prevent reabsorption in the intestines. Doing so will prevent Enterohepatic Recirculation. Toxins manufactured de novo from pathogenic gut flora can be absorbed into the body again causing ill-effects like; inflammation, oxidative damage and activating Mast Cells. Until now, there wasn’t a comprehensive toxin binder that can bind a plethora of toxins; heavy metals, pesticides, plastics, etc. in an easy to swallow capsule. 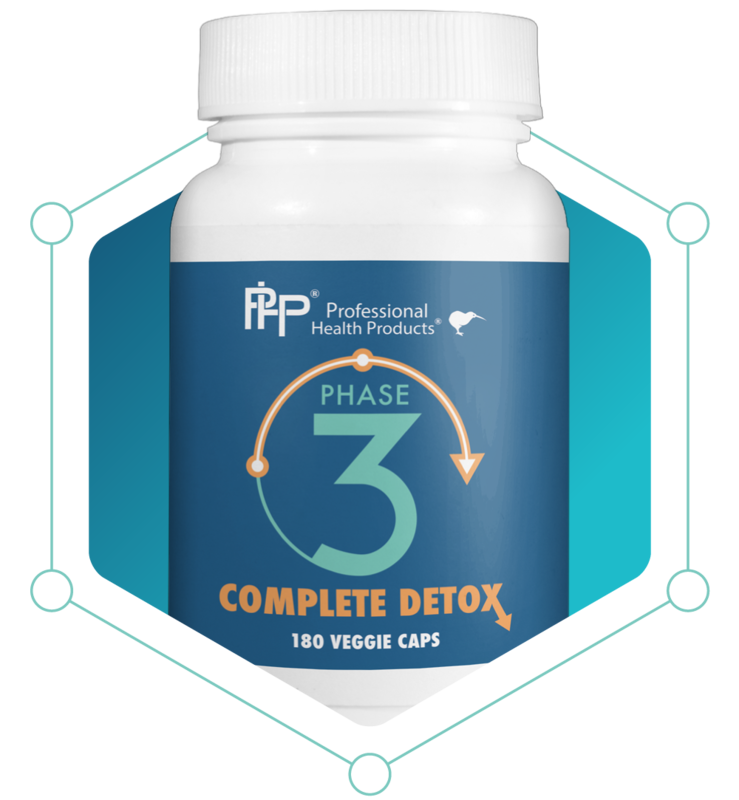 Professional Health Products® Phase 3 Complete Detox delivers an easy to use, all-in-one intestinal binder that has an extremely broad range in its ability to bind toxins to ensure proper completion of detoxification. Extremely safe, well-studied nutrient that has antioxidant, choleretic, hepatoprotective, bile-enhancing and lipid-lowering effects. Organic compound that functions in the conjugation of bile acids. It also has antioxidative and membrane stabilization effects. Extremely safe and effective binder shown to have a high affinity for binding pathogenic bacteria, mold toxins, pesticides, herbicides, volatile organic compounds (VOCs). Known for its ability to bind metals, VOCs, pesticides, herbicides, and mycotoxins. It can also stimulate immune functions by way of NK activation. Alginates are the carbohydrates that make up the cell wall of seaweed. They have the capability to bind heavy metals and work mainly in the gastrointestinal tract to prevent reabsorption of toxins as they are being pulled from tissues. Healing to the gut as well as an ability to bind mold toxins, bisphenol A (BPA), pesticides and herbicides. Aids in healing the lining of a damaged intestinal tract, healing and/or preventing leaky gut syndrome. A prebiotic fiber that helps with constipation issues, as most binders can exacerbate these issues.